Children get very excited when they are surprised with a gift, especially if that gift is a ride-on toy car! You can just imagine the look on their faces when they see their favorite car come to life. Ferrari, Mercedes Benz, Jaguar, Mustang, Jeep Wrangler, and Batman Dune Racer – these are all available as ride-on toy cars. What is more thrilling for them is driving their toy car in the yard. Your child will learn independence as he rides on this car and drives it alone. Of course, you must teach and guide him first on how to drive the car and introduce the components of the ride-on-car and their functions. As he plays with it, he will eventually know how to make it move by himself. Promoting independence in children will train them how to make sound decisions when they become adults. Your child will use his body and limbs to operate and control the toy car. He will learn to push, pull, kick, and sway as he drives the car. Playing with this toy car, therefore, enhances your child’s fine and gross motor skills. Most children love role playing and pretend play. They pretend that they are Batman while riding on the Batman Dune Racer or their daddy who’s going to work while riding on a toy Ferrari. 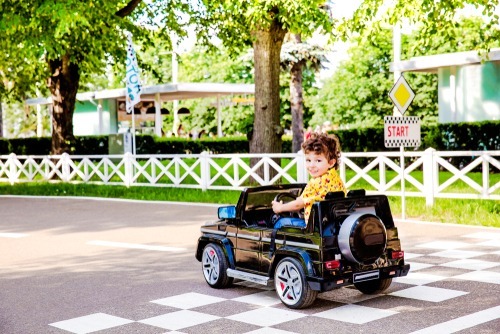 Playing with ride-on cars stimulates their creativity and imagination, which are good for their cognitive development. It’s very obvious that playing with ride-on cars promotes physical activity. This type of play is basically a form of exercise for children. It makes their bodies strong and fit. It encourages them to be adventurous and to explore the world outside. It motivates children to get off the couch and get moving. Kids ride-on cars must be driven outdoors. 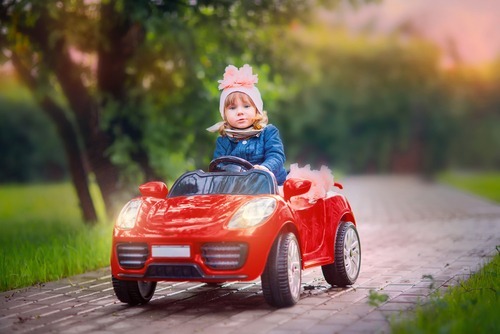 Ride-on cars will encourage your child to go outside and play with other kids. Having playmates and friends will develop his social and communication skills. Human interaction is always better than being isolated from playing video games. Giving gifts to children will make them feel loved and appreciated. A ride-on car is probably one of the best gifts that your children will receive that they will remember for the rest of their lives. Aside from providing happiness and joy, ride-on toy cars also promote the physical and cognitive development of children and enhance their social and communication skills.